A mother who was found guilty of abducting her own son has been sentenced to nine months in prison in the Isle of Man. The woman, known as Miss A, was found guilty of abducting the boy and fleeing to Canada from the island. The mother, who is in her 40s, fled with the then seven-year-old the night before he was to be taken into care. Deemster Birkett at Douglas Courthouse said it was "a tragedy for Boy A who has had his childhood blighted". The woman claimed she took the boy because he was at risk of being sexually abused by his father, but the allegation was unproven. The court heard that social services were planning to take the boy into care because of the "emotional abuse" he was suffering from his mother. They had issued a court order preventing her taking him out of the country. In June 2009 she breached that order taking the child to Canada, leaving a false trail of e-mails about her whereabouts. Deemster Birkett told Miss A: "It was your intention to thwart the court who had Boy A's best interests at heart. "You tried to justify your actions but there is no defence to this charge. Abducting a child could never be reasonable or proportionate. "I accept that powerful emotions arise but the interests of the child must come first." Boy A is currently in foster care. 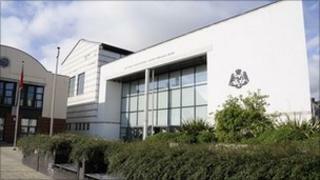 The jury, made up of three women and four men, took less than three hours to find the defendant guilty in the first case of its kind in Manx law. Miss A's father said after the hearing: "My daughter was a mother who went to the social services for help and now she has been jailed. It's just wrong." Miss A plans to appeal against her sentence.